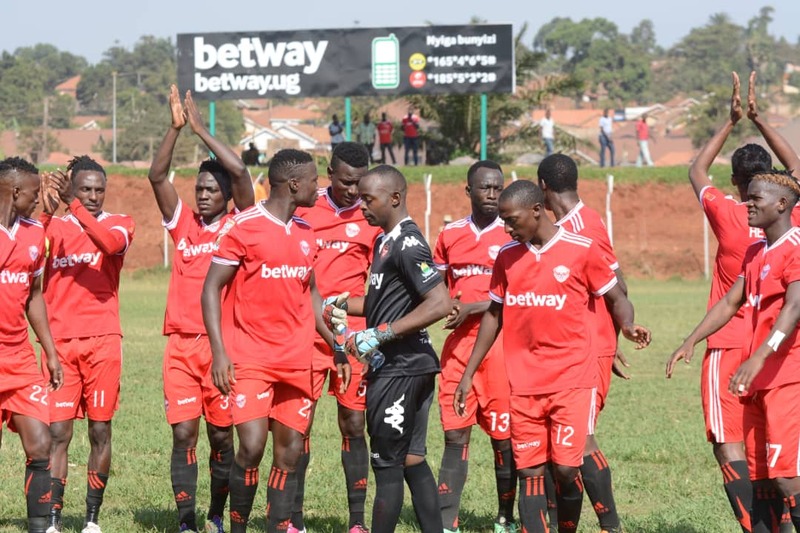 NJERU – Express new head coach George Ssemwogerere was handed a baptism of fire as his side lost 1-0 away to Bul FC at FUFA Technical Center in Njeru. In the only game played on Sunday, Ssemwogerere who was without several key players could only look on as Jean Pierre Kambale struck inside the first minute of additional time to win it for Peter Onen’s side. Bul started well with Hamis Tibita and Deogratius Ojok troubling but the Express backline with wave after wave of attacks. At the other end, goalie Hannington Ssebulwanyo made a block with his feet to deny Disan Galiwango who had a good game as a left winger and also denied stand in forward Joel Male. The two teams left the pitch at half time deadlocked at 0-0.Peter Onen made an instant change after the break introducing Kambale for the off colour Ezekiel Katende and later Douglas Owori came on for Ojok. The Red Eagles made their first change in the 71st minute with Pius Mbidde taking over from injured Davis Mayanja. The game looked destined for a goalless stalemate but Kambale had other ideas, striking at the death of a rebound after Mathais Muwanga had initially saved Bruhan Matovu’s effort and in process become the first Bul player to score in successive wins over Both Express and SC Villa. The Congolese export was also on target as Bul defeated Villa 1-0 in December. There was no time left for Express to restore purrity as Bul took home all three points. The defeat leaves Express, who have lost all three of their second round games, 10th on the standings with 21 points from their first 18 games. For Bul, they climb into fourth in the log with an impressive 30 points, the best they have had at this stage since they were promoted to the top tier. Express’ next game will be a trip to Mbarara to face relegation threatened Nyamityobora on Wednesday while on the same day, Bul visit table leaders KCCA at Lugogo.